BEST SELLER. Multipurpose tissues for everyday use around the office. The perfect combination of strength and softness while offering great value. Size - 200 x 195 mm plain white 2-ply tissues. Box of 224 facial tissues. 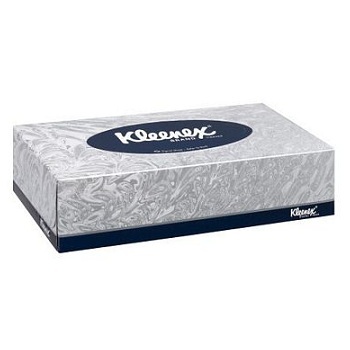 KLEENEX® Premium quality tissues, preferred for superior softness, strength and absorbency. A stylish pack design enhances image, ideal for any office environment. The blue signal sheet indicates the end of the pack. 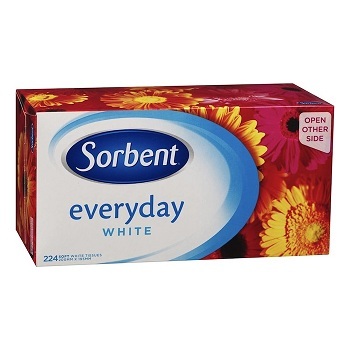 Box of 100 Plain White 2-Ply Facial Tissues. 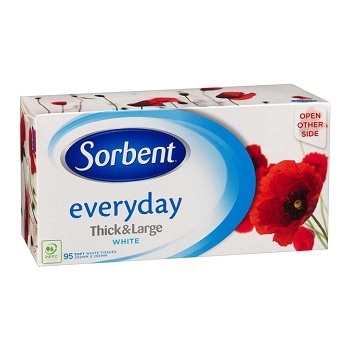 Sorbent everyday thick & large facial tissues are extra soft, thick and 50% larger. Size - 200 x 295 mm plain white 2-ply tissues. Box of 95 facial tissues. 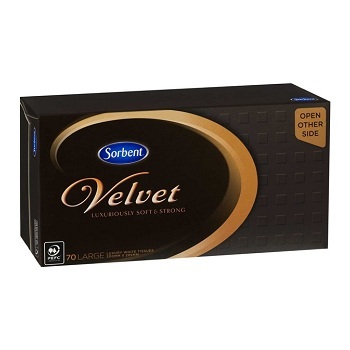 Sorbent Velvet tissues are luxuriously soft & strong. Unique cushion weave tissues are 50% larger than regular tissues to deliver the ultimate in luxury. Box of 70 facial tissues.